Property division in Tennessee divorce ends with an equitable distribution, but begins with identifying assets, classifying assets as either marital or separate property, and valuing the assets. As this is an equitable property distribution jurisdiction, Tennessee property division laws mandate full and fair disclosure of marital property in divorce, annulment, and legal separation. Although the size and value of marital estates vary considerably from one Tennessee divorce to the next, the spouses’ legal rights and duties under Tennessee property division laws remain constant. Dividing property fairly in Tennessee divorce can challenge judges, divorce attorneys, and clients alike. Particularly in divorces where identification, classification, valuation, and division of complex marital assets is necessary. Not all divorce lawyers have the requisite accounting and legal experience to handle complex property divisions. Careful attention to important financial details must be given for pensions, business and professional practice valuations, complex execution compensation such as incentive stock options, and intellectual property such as patents, trademarks, copyrights, and trade secrets. There is an order to case progression in Tennessee divorce. First, the court determines whether grounds for divorce or annulment exist. Second, child custody is awarded and parenting time is decided. Third, child support is ordered after calculations using the Tennessee Child Support Guidelines are made. Fourth, the court identifies, classifies, values and finally divides the couples’ marital property. Fifth, the final issue to be addressed is alimony for support of a spouse. The moment a man and woman become husband and wife, their properties take on the character of “Yours, Mine, and Ours.” What property each owned, or owed, individually before marriage remains separate property after marriage (that is, absent agreement or some other transformational event). All assets and debts accumulated during the marriage are presumed to be the marital property of both spouses. Tennessee property division law mandates that with divorce or annulment, all marital property must be equitably distributed between the spouses. There are no exceptions, but there are options. Consult with an experienced Tennessee divorce lawyer. Generally, with marriages of long duration (25 or 30 years) the spouses may have substantial marital acquisitions, all of which must be divided according to Tennessee law. Their home may be mortgage-free and their retirement plan well-funded. They may drive late model luxury cars and enjoy a vacation home in Destin, Florida. With marriages of short duration (seven years or fewer) spouses may not have had time for marital acquisitions. Tennessee law may seek to put the parties back in the position they were in at the time of the marriage. There is no hard and fast rule when it comes to relationships. Therefore, property division in Tennessee divorce is very much a case-by-case determination. The spouses’ ages matter, too. Young couples may have the future ahead of them and the potential for brilliant careers, but they are often debt-burdened with student loans, car payments, mortgages, and other substantial financial obligations. If they start a family, one of the spouses may stay home to care for the children and maintain the household. Every couple’s circumstances differ. One thing is certain, though. In Tennessee divorce, whatever marital property (and debt) they managed to acquire will be divided and distributed between them. Today, Tennessee property division law is reasonably well-settled. That is not to say that the equitable distribution process is an easy or simple one. On the contrary, property divisions involving businesses, professional practices, and intellectual properties, for instance, can be very difficult to value. For these complex property valuations, a forensic accountant (Certified Public Accountant) is typically needed. On rare occasion, unique new assets challenge Tennessee courts, too. For example, dividing Bitcoins and virtual assets in Tennessee divorce. Start preparing for Tennessee property division by downloading our free e-book, Your First Steps: 7 Steps Planning Your Tennessee Divorce. Before the divorce is filed and during pendency of the action, an experienced Tennessee lawyer will assist the client by negotiating desirable terms for a possible settlement agreement. Negotiating “who gets what” property is a core focus, along with child custody, parenting time, child support and alimony. How pensions, military pensions, and individual retirement arrangements (IRA) should be divided could also be resolved during negotiations with the other spouse and his or her attorney. Negotiated agreements avoid the need for trial on those issues. Trials are very stressful for everyone involved. Litigation and trial preparation are expensive and time consuming, too. Voluntary settlements often represent a substantial cost savings for both spouses. As an alternative to litigation, mediation of property issues and other family law concerns can also result in agreements. In Tennessee divorce, mediation is required in cases involving child custody. But most judges will require mediation even when there are no minor children. Why? Because mediation has a proven track record of successes in family law cases. The judge cannot order an agreement must be reached, that is up to the spouses. The judge will expect both participants to put forth a good faith effort in attempting settlement. The couple’s Marital Dissolution Agreement (MDA) is a written instrument, signed by both spouses, setting forth the agreements they reached through negotiation, mediation, or other alternative dispute resolution method. When division of marital property is settled, the terms are included in the MDA. In turn, the MDA is submitted to the judge who, absent objection, enters it as an order. With the MDA incorporated into the judge’s decree, the terms are enforceable against both parties. A poorly drafted MDA could have disastrous consequences. Be sure your divorce lawyer has ample MDA drafting experience. When the divorce is filed, Tennessee’s automatic temporary injunction goes into effect to protect the spouses from themselves. Regarding the marital estate, certain acts and omissions are restricted or prohibited outright while the divorce is pending. Namely, a spouse cannot transfer, assign, borrow against, conceal, dissipate, or dispose of marital property without first obtaining the other spouse’s consent or a court order. The injunction allows ordinary expenditures to maintain the couple’s standard of living, but both spouses must keep accurate, detailed records which can be shared. The same is true with expenses in the usual and ordinary course of operating a business. T.C.A. § 36-4-106(d). Before taking action that might violate the automatic injunction, consult with an experienced Tennessee divorce attorney. Filing a motion to set aside the injunction for a specific purpose is possible. In other situations, a request to expand the injunction to protect certain assets may be filed. To better understand how the automatic injunction could apply to your case, take a look at The Tennessee Divorce Process: How Divorces Work Start to Finish. Identifying property entails listing everything that the spouses own or share an interest in. Systematic identification can be complicated in Tennessee divorce. Some spouses attempt to conceal assets, often in anticipation of divorce. Seasoned divorce attorneys are always on the lookout for wrongful interference with property division. Hidden assets and income must be located and brought before the Tennessee court. A forensic accountant or a private investigator can be very useful in locating hidden marital resources. All too often the innocent spouse is stunned to learn the value of sequestered property. If you have any suspicions that your spouse has secreted assets or concealed income, immediately discuss those concerns with your lawyer. Discovering hidden assets may demand investigating a paper trail going back months or years. The risk of non-discovery is an unfair, inequitable division of marital property in the divorce. Your lawyer may involve a forensic accountant in the case to conduct a lifestyle analysis, analyze tax returns, business records, and to testify as an expert witness in court. For a primer on forensic investigating in divorce, order The Forensic Accounting Deskbook: A Practical Guide to Financial Investigation and Analysis for Family Lawyers authored by Memphis, Tennessee, attorney Miles Mason, Sr. It is published by the American Bar Association and available on Amazon. 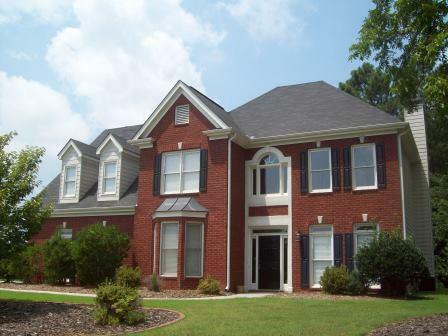 Once property is identified, it must classified as marital property or separate property. Be careful, legal title to the property is not determinative. Both spouses have an equitable interest in property acquired during marriage, regardless of legal title being in the name of one spouse only. What Is Marital Property in Tennessee Law? Under Tennessee property division law, marital property broadly includes all acquisitions of real and personal property (tangible and intangible) during the marriage. Tangible property includes things like furniture, vehicles, equipment, and personal items; whereas intangible property includes things like patents, copyrights, and goodwill of a business. T.C.A. § 36-4-121(b)(1)(A). When each spouse made a substantial contribution to the “preservation and appreciation” of one spouse’s separate property, then the income or increased value resulting from that contribution is also marital property and must be divided. T.C.A. § 36-4-121(b)(1)(B). Are Social Security Benefits Marital Property? Although there is a connection between wages and Social Security, such federal benefits are not treated like private pensions and retirement accounts in divorce. Social Security benefits remain separate property and are not divided in divorce. There is one exception. Following a claim for Social Security disability, recovery for wages lost during the marriage and medical expenses incurred during the marriage could be marital assets. Talk to a lawyer. T.C.A. § 36-4-121(b)(1)(C). 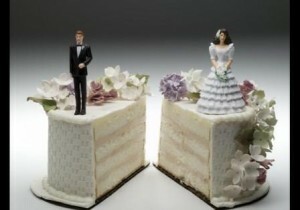 What Happens When Divorce Commences? Assuming the proceedings end with a divorce decree, the cut-off date for marital acquisitions is the final divorce hearing. This means through the date of divorce, not separation, all earned income is generally marital property. As mentioned previously, there is a strong legal presumption that all property acquired during the marriage is marital property. The presumption can be challenged and overcome. To overcome that basic presumption, the spouse claiming a specific asset is “separate property” must carry the burden of proof by a preponderance of the evidence. Such evidence includes testimony from the spouses, expert testimony from forensic accountants, as well as documentary evidence. Owens v. Owens, 241 S.W.3d 478 (Tenn. Ct. App. 2007). What Is Separate Property in Tennessee Law? 6. In a legal separation wherein the judge ordered a final property disposition, any after-acquired property. T.C.A. § 36-4-121(b)(2). The client’s attorney will know when a forensic accountant is needed to discern the classification of property. Ordinarily, for separate property to retain its classification, the owning spouse should have kept the item segregated throughout the marriage. No mixing or commingling with marital accounts. No unintentional gifting to the marriage or transmutation. All assets must have a reasonably accurate valuation. The fair market value of marital property must be determined before an equitable property division can be made. Depending upon the circumstances, a forensic accountant, certified appraiser, fine art appraiser, or other specialist may be needed to place a market value on various assets (and associated liabilities) making up the couple’s marital estate. This includes valuing professional practices and businesses. In many instances, the spouses’ can testify as to the fair market value of certain assets, such as household furniture and furnishings. However, expert testimony from a forensic accountant is often needed to place a fair market value on complex assets such as a family business, legal or medical practice, stock option, or other substantial investment. Division must be equitable under Tennessee property division law. What is equitable is not necessarily equal, however. As a point of departure, the court may approach division by splitting the couple’s property right down the middle, 50/50. Thereafter, the judge applies the statutory property division factors. After examining what is fair, just, and reasonable under the circumstances, the equitable division needle may move to one spouse’s side for a non-equal division (a split of 40/60 or 30/70, for example). For a fair result, never cut corners or rely on the other spouse’s proffered inventory and assessment. Generally, the court’s final division of marital property cannot be modified later. Mistakes are likely to be permanent. Details matter. When dividing the spouses’ marital property, the court considers the Tennessee property division factors set forth in T.C.A. § 36-4-121(c). No single factor is determinative. Because Tennessee property division law requires an equitable distribution of the couple’s property, the judge has broad discretion to consider any other relevant factor in balancing the equities. Ordinarily, a spouse’s marital fault is not a consideration. There is one exception, however. When the spouse’s misconduct results in dissipation of the marital estate. Property division is one of many essential chapters in The Tennessee Divorce Client’s Handbook, What Every Divorcing Spouse Needs to Know by Miles Mason, Sr. (available on Amazon and Kindle). Who Gets the Marital Home Under Tennessee Property Division Laws? Both spouses continue to own the asset in tenancy after the divorce. The marital home, along with furniture, furnishings, and household contents may be allocated to either spouse. There is one very important consideration, however. If divorce involves an award of child custody, then the judge should take into special consideration the needs of the primary residential parent (PRP). Often, the least disruptive living arrangement for the child is to award the PRP the marital home in a division of Tennessee property in divorce. In Tennessee divorces, separate maintenance actions, and legal separations, judges have considerable discretionary powers when distributing property equitably. Essentially, such broad discretion allows them to do whatever is reasonable under the circumstances. Keyt v. Keyt, 244 S.W.3d 321 (Tenn. 2007). Quasi in rem jurisdiction gives the court power to vest title to marital property located within Tennessee to either spouse or to both (as joint tenants in a Shelby County, TN, residence, for example). Personal jurisdiction over the parties is necessary for the judge to order a title transfer when the property is located outside the territorial jurisdiction of Tennessee (for example, when marital property is located in Arkansas). With an action for legal separation in Tennessee (or separate maintenance), the judge could distribute all the couple’s property or only a portion of it. If a final distribution is ordered in the legal separation, any property acquired by either spouse thereafter is presumed to be separate property. The result is the same as with divorce wherein all marital property must be distributed in cash or in kind. The judge’s property division decree could have a profound impact on each spouse’s economic future. Such broad judicial discretion adds an element of uncertainty as well. To successfully advocate a desirable division of property, always obtain experienced legal representation in Tennessee divorce. The Tennessee judge has authority to implement its property decree by divesting and reinvesting title to assets. Consider this example: Title to the spouses’ marital home is in both names as “husband and wife.” The court’s property decree assigns the home to wife as she is also the Primary Residential Parent of the spouses’ minor child. Wife is ordered to make property division payments to husband, covering his equity in the home. Husband is ordered to execute a deed conveying his interest in the marital home to wife. (Disobeying a judicial order risks being held in contempt of court!) Additionally, the judge may place a lien on the marital home as security for the property division payments to husband (or as security for the payment of alimony). Furthermore, the court can auction marital property, condition the sale so that the fair market value is obtained, and allocate the sale proceeds according to its property decree. These are all examples of orders entered to effectuate the court’s equitable distribution of marital assets under Tennessee property division law. T.C.A. § 36-4-121(a). Classifying property as separate or marital sounds simple, but the actual process seldom is. For many couples, what was once separate property has transformed into marital property, or vice versa. Because such transformation is so prevalent with property during marriage, we have a different legal description for each of four possible events. These are transmutation, commingling, tracing, and dissipation. By ordinary definition, “transmute” means to change something from one form to another. Transmutation in Tennessee property division law occurs when the item is no longer distinguishable as separate or marital – it has been transformed. Transmutation happens when separate property is converted to marital property by gift to the marriage. (For example, wife uses her inheritance to buy them both a yacht.) And, although less common, by converting marital property into separate property – a gift from both spouses to only one spouse. Transmutation can occur when both spouses treat one spouse’s separate property as a marital asset. This often occurs with a marital residence. The home starts out as one spouse’s separate property, yet both spouses pay the mortgage and taxes and make substantial improvements to it over time. For an in-depth discussion of the impact transmutation can have on asset allocation, take a look at Transmutation in Tennessee Property Division Divorce Law. Frequently, spouses mix separate assets with marital assets, such that the two become inextricably mingled. Generally, if the separate portion cannot be traced and extricated, then the entire asset is presumed to be marital property. With bank accounts, it is crucial that a separate property account be segregated from any and all marital funds. Read about commingling in Divorce Commingling Funds Assets with Marital Property in Tennessee. Tracing an asset is a way of determining whether it is the separate property of one spouse or the marital property of both spouses. Tracing tracks the asset from the original acquisition up to the time of divorce. When there is doubt about the proper classification of property, tracing may be necessary. In Tennessee property division law, wasteful spending of marital assets by one spouse for his or her sole benefit can result in dissipation of marital property. Because marital dissipation is destructive behavior, the innocent spouse may recover the value of the other spouse’s wrongful expenditures. 1. Objective Test: The spouse has an opportunity to justify questionable expenditures against allegations of waste with proof of receipts, vouchers, claims, and other evidence. Was the expenditure extraordinary or typical of those made during the marriage? Did the expenditure primarily benefit the spouse who spent the money or did it benefit both spouses? When was the money spent? Did it happen around the time of the marital break-up? How much was spent? Was the amount of sufficient consequence to have an impact on this couple’s property division? Was it a trivial amount? Was this an isolated incident or pattern of wasteful spending? Gambling, illegal purchases, and adultery often involve wasteful expenditures of marital resources. (For example, spending marital funds to lavish gifts upon a paramour with whom the spouse is having an extramarital affair.) If this is a problem, talk to your lawyer. A substantial award to recover dissipated marital assets is possible, either in the property division or as alimony in solido. How Are Debts Divided in Tennessee Divorce? Marital property is not limited to personal property and real property. Debts incurred during the marriage are presumed to be marital, too. As with title to marital assets, the spouse who signed on the dotted line may not be the only obligor on the debt. One individual spouse can bind both spouses to a contract for goods and services. The factors judges apply in allocating marital obligations include the purpose of the debt, which spouse incurred it, which spouse benefitted most from it, and which spouse is best able to repay it. Alford v. Alford, 120 S.W.3d 811 (Tenn. 2003), citing Mondelli v. Howard, 780 S.W.2d 769 (Tenn. Ct. App. 1989). To learn more about how debts are handled in Tennessee divorce, check out Dividing Debt in a Divorce | Tennessee Debt Division Law. Which Spouse Gets Which Debt? Which spouse will be burdened with which debt is for the court to decide, but only if the spouses are unable to voluntarily agree on the issue. Whenever reasonable to do so, the judge can assign the marital property and its associated marital debt to the same spouse. For example, the spouse who gets the minivan is also obligated to make the payments on that vehicle. The court has broad discretion to allocate marital debts between the spouses, too. Any separate obligations (contractual, personal injury, or otherwise) are winnowed out of the debt pool so that only marital debts remain for division. Importantly, the court will not divide separate debts that accrued either before the marriage took place or after filing the divorce complaint or final hearing. Owing money is a fact of modern life for most people. 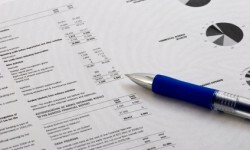 Sorting out marital debts under Tennessee property division law is common divorce practice. And just as with marital assets, the process of debt allocation offers its own complexities. Concealed debts are possible. (For instance, when one spouse secretly signs a contract obligating both.) Speak to an experienced Tennessee attorney about debt allocation in your divorce. Joint debts are those in which both parties are liable for the balance and interest owed. Joint debts are distributed between the spouses in a divorce, but that does not, in and of itself, alter the contractual relationship the spouses have with third parties. The divorce does not alter a third party’s contractual rights. For example, if both spouses leased a vehicle, then both remain liable on the lease after divorce. Between the spouses as parties to a divorce lawsuit, one has been ordered to pay the debt. If the bill is not paid as ordered, then the third-party creditor can pursue debt collection against either or both former spouses. We recommend every divorcing spouse run his or her credit report and review it carefully. Look for previously undisclosed debt. Close all unnecessary open accounts without balances. Investigate discrepancies and any surprises. In other words, divorce is a great excuse to “clean up” your credit report. Check the credit report every six months (even after the divorce) to confirm all changes have been made accurately. We discussed the primary concerns most divorce clients have with property division in divorce, but nothing can replace competent legal advice from an experienced Tennessee divorce lawyer. Be prepared. Every professional practice, business entity, pension, IRA, credit card debt, mortgage, and car payment needs to be independently and accurately assessed. Careful identification, classification, valuation, and division will be necessary for a fair and equitable distribution of marital property in your Tennessee divorce.